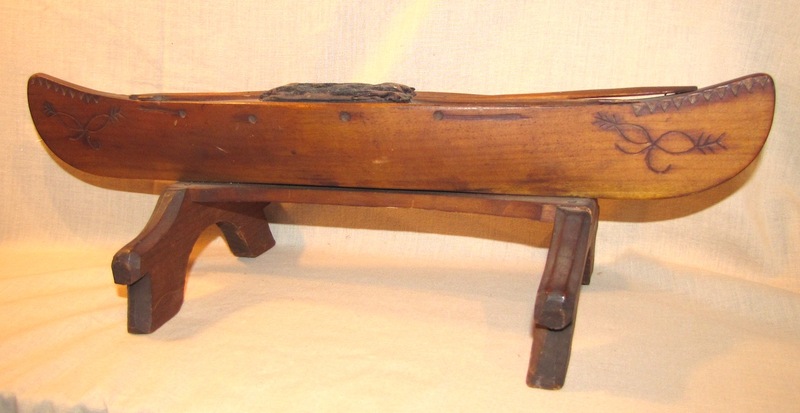 A nicely carved and decorated pin cushion in the form of a canoe with paddles, axe and spear on the "deck" of the canoe. This is from New Brunswick and I would estimate early 20th century. 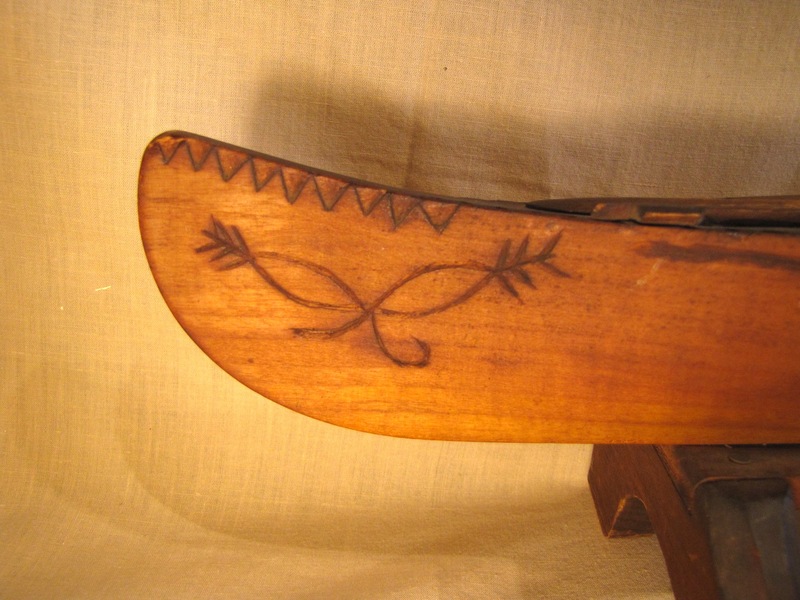 The notch carving along the canoe edge is typical of native Miqmaw or Maliseet work. The overall length is 17 1/2"